In an effort to preserve industry in Seattle, the City just passed legislation limiting the size of non-industrial uses in industrial zones. Retail uses are limited to 25,000 square feet, which is roughly half the size of a modern Safeway, and one-seventh the size of the titanic 175,000-square-foot Costco on 4th Ave S., which is in an industrial zone. I wasn’t living in Seattle when the 4th Ave Costco was built in 1983 — but I suspect it didn’t create much controversy. Everybody loves Costco. Except me. Is it really worth that long drive to save a dollar on a box of Cheerios the size of filing cabinet? Well, that may be a matter of opinion. 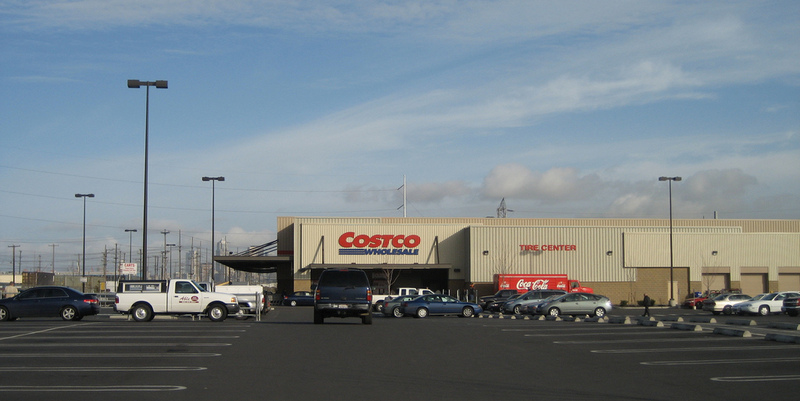 But here’s what’s not just a matter of opinion: Costco is contrary to a sustainable future. It’s Walmart with better employee benefits. Yet most Seattlites seem to give a big thumbs up to Costco while they deride Walmart. What gives? Posted by dan bertolet on	Tuesday, December 18th, 2007 at 11:55 pm. You can follow any responses to this entry through the RSS 2.0 feed. You can leave a response, or trackback from your own site. I’m not totally sure I agree with your anti-costco stance. In general it is environmentally preferable to purchase items in bulk as it reduces the amount of packaging needed for transport etc., leading to less excess waste as well. I know that when I go to to costco, I’m usually carpooling with one or two other people and we all load up in a single trip to the big box. Also to costco’s credit they don’t hand out paper/plastic bags, and instead pack groceries etc. in left over shipping containers. Contrast this to trader joes where i consistently need to ask them to pack my groceries in a used box (on the days i forget to bring my gigantic messenger bag). That said the massive parking lot is rather atrocious. yeah, even though Costco does better than other big boxes in terms of employee benefits, it still is based on a model of mass consumption and cheap developing world labor while it drains the local economies of whatever community they are in. Yes, we operate in a free-market, and thus are on a never-ending quest for the lowest prices, but at what cost? Finally, I agree one hundred % with the author. Simply amazing precision choice of facts and the operation word. That’s what I expect in these entries, keep up.